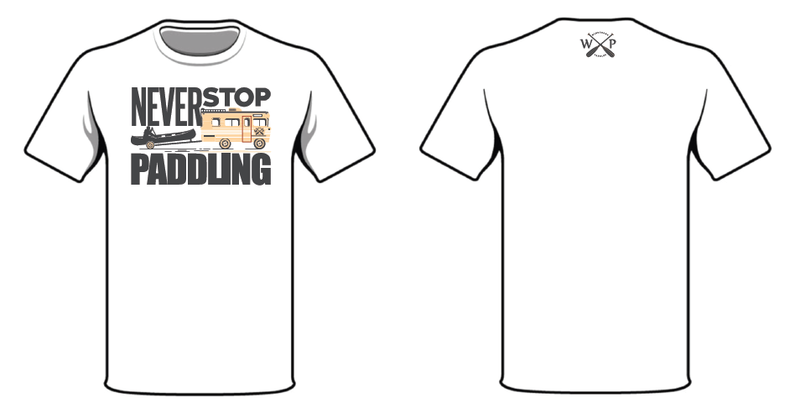 We had a fun idea - let's make Winnebago Paddles t-shirts! Then reality hit and we realized our creativity extends only as far as wood. So we had a new idea - let's reach out to our creative customers for some help! Send us your t-shirt ideas - ALL of your t-shirt ideas! We want everything from classy and refined to witty and creative. You can use the box below to describe your ideas, or you bring it to life by downloading and submitting the attached t-shirt blank. Any form of submission is permissible. We also attached a downloadable copy of our logo for you to incorporate. It's not required, but it might score you some brownie points! At the conclusion of the contest, we will pick our favorite of the bunch as the grand prize winner and lucky recipient of the Mekong 2.0! We had a lot of great entries and we appreciate the time everyone took to enter. Keep checking back for more contests and giveaways, or sign up for our newletter! Also, keep an eye on our accessory page in our store....t-shirts coming soon!